After a quiet first inning, a flurry of activity began in the second inning. Pirates starter Ed Whitson, retired the first two batters. An error by third baseman Dale Berra allowed Padres catcher Fred Kendall to reach base. Pitcher Randy Jones singled and Gene Richards walked to load the bases. 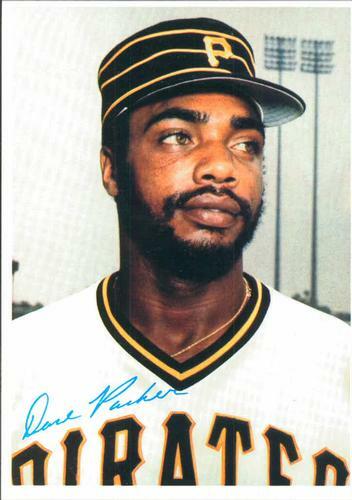 Ozzie Smith singled to right field, driving in two unearned runs, and right fielder Dave Parker’s error on Smith’s hit allowed the speedy Richards to race home for the third unearned San Diego run. Dave Winfield grounded out to second to end the inning. Enjoying his team’s 3-0 advantage, Jones retired the first two Pirates batters in the bottom of the inning, but Phil Garner tripled to center field, and Steve Nicosia drove him in with a double. Berra flied out to end the inning and San Diego led, 3-1. The third inning was quiet for the Padres, but the Pirates made it 3-2 when Omar Moreno singled, swiped second, and scored on Tim Foli’s single to left field. Richards hit a two-out single for the Padres in the fourth but was thrown out by Nicosia trying to steal second. In the bottom of the inning an error by Winfield on a fly ball allowed Garner to score, tying the game, 3-3. In the fifth inning Winfield hit a solo home run to give the Padres the lead again but the Pirates quickly matched it as Moreno walked, stole second again, and scored when Foli singled to center. San Diego manager Roger Craig pulled Jones and replaced him with Dennis Kinney; two batters later Kinney gave up a double to Bill Robinson that scored Foli. After Kinney retired Willie Stargell on a groundout, he was replaced by John D’Acquisto, who got Garner to line out to center. As the teams returned to their dugouts the Pirates had the lead for the first time in the game at 5-4. In the top of the sixth, Pirates skipper Chuck Tanner summoned Enrique Romo to replace Whitson with one out and a runner on first. Romo gave up a single to Broderick Perkins, sending pinch-runner Bill Almon to third, and Richards drove in Almon with a fly ball to right field. The Pirates were scoreless in the sixth. Star reliever Kent Tekulve took the mound in the Padres seventh and promptly gave the visitors a 6-5 lead with his second home run of the game. The Pirates failed to score in the bottom of the inning. Neither team scored in the eighth inning. The Padres padded their lead in the ninth inning when Ozzie Smith singled and then scored from first base on a two-out double by Jerry Turner. Tanner and catcher Ed Ott argued with home-plate umpire Jerry Dale that Ott’s sweep tag had connected with Smith. Their arguments failed to convince Dale.3 Turner then scored on a single to center by Kurt Bevacqua. With three outs left in the game, San Diego was leading 8-5, putting the hometown Pirates in a difficult position. The song “We Are Family” was sung by Kathy Sledge and was about “people leaning on each other for help.”4 It had a big chorus and catchy beat but after some success on the dance and soul charts, by the end of May 1979 it began to stall on the pop charts. After Robinson popped out, manager Craig replaced D’Acquisto with Bob Shirley to face Willie Stargell, who singled to center field. The Padres then brought in star reliever Rollie Fingers. Garner doubled to left for his fourth hit of the contest, moving Stargell to third. Ott was intentionally walked with the intention of having Fingers face Berra, who was batting .195. Manager Tanner countered, sending in Lee Lacy to pinch-hit for Berra. Fingers got two strikes on Lacy, but then missed with four straight balls, forcing Stargell home and giving the Pirates a 9-8 victory. 1 Charley Feeney, “Bucs’ Late Rally Beats San Diego,” Pittsburgh Post-Gazette, June 2, 1979: 9. 2 Richard K. Rein, “When the Pirates Hustled to Sister Sledge’s 'We Are Family,’ the Steel City Went Platinum,” People, November 5, 1979. 6 Phil Collier, “Pirates Cut Padre String, 9-8,” San Diego Union, June 2, 1979: C1. 8 Frank Garland, Willie Stargell: A Life in Baseball (Jefferson, North Carolina: McFarland Publishers, 2013), 129.